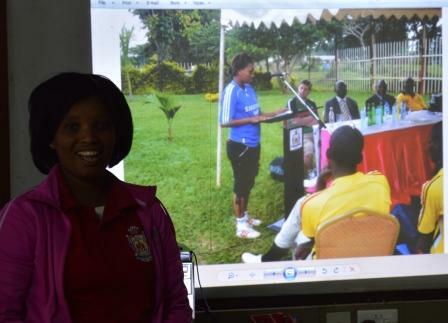 On 25th September 2015, One of our Young Women in Sport Leaders Mirriam Nanyiza was among the 10 community coaches that graduated from being community coaches to Coach Educators. Mirriam Nanyiza and other community coaches from Sport in Action, Edusport, Baulenin United, Grassroot Soccer and Olympic Youth Development Centre have been undergoing a training in football development and coaching. The coach Educator course is run by the British Council under the Premier Skills Programme and has been running since 2014. 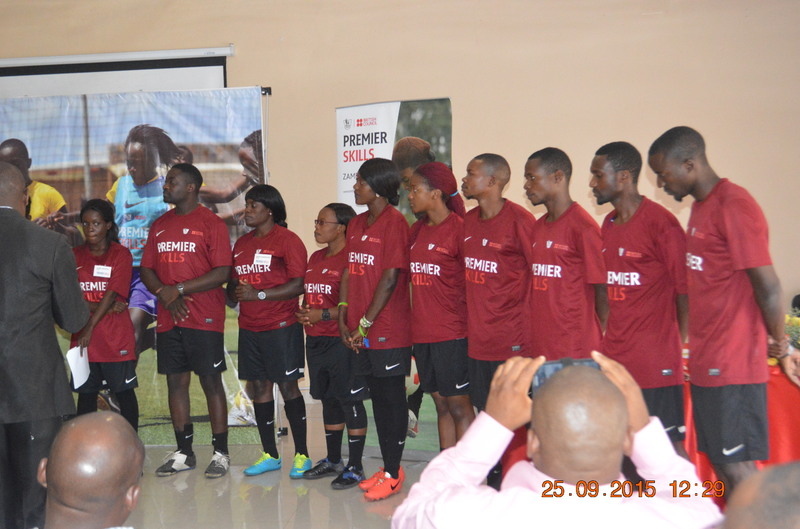 Premier Skills focuses on community level football development. The project is aimed at using football as a tool to engage young people and community leaders. It is believed that Football or any sport can be used to address challenges or issues that affect young people such as HIV/AIDS education, drug abuse, peer pressure and many more. In the final phase of Premier Skills which is Phase 3 stage 3, the 10 Coach Educators had to train other community coaches who have minimum experience in football coaching. NOWSPAR brought 10 Community Coaches to this training. The 10 Community Coaches were from various partners that NOWSPAR works with including Mabana Organisation in Choma, Kafue Queens, Liteta GirlPower Community Club, Kitwe Sports Club and the Deaf Sports Association in Matero Lusaka. 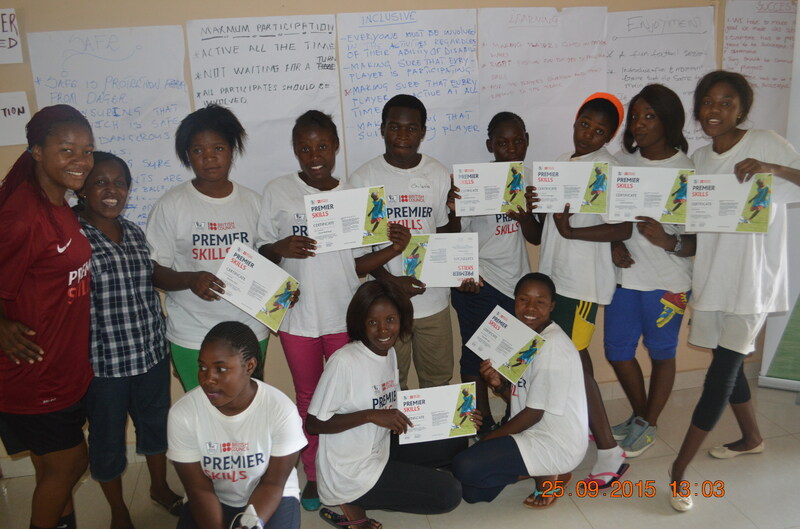 After the 4 days training, the 10 community coaches were awarded Football coaching certificates. 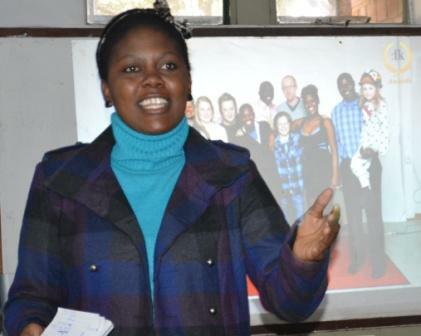 “I am very excited to have this opportunity to be trained as a football coach” said Lubaya a girl from the Deaf Sports Development Organisation. 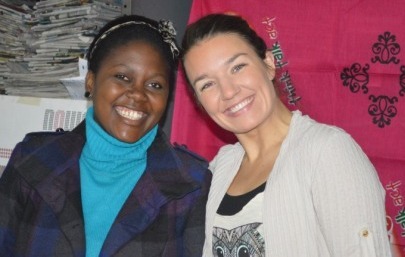 Mirriam Nanyinza has been Volunteering with NOWSPAR for 2 years and has developed as one of the leaders in the Goal Programme. Earlier this year Mirriam had received a Grant from the British Council to run a training Course for Coaches she works with in NOWSPAR. This year, Mirriam is based in Norway, at the Sound Folk College as part of the Youth Sport Exchange Programme (YSEP) by NIF and Fredskopset (FK).